Title: Citizen Ship Burn It Down! 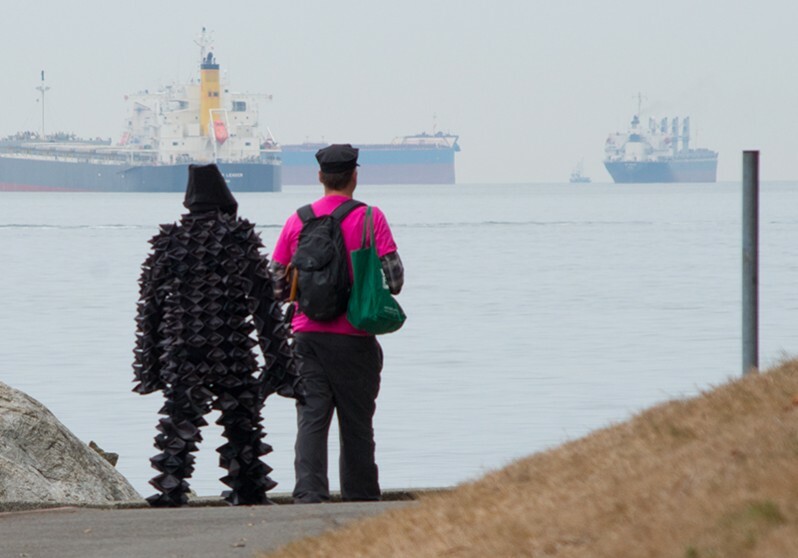 Inspired by the 2014-2016 Vancouver Biennale’s theme, “Open Borders / Crossroads Vancouver,” and by Martin Luther King’s “I Have a Dream” speech, Indian artist Sajan Mani engaged the public through his public performance Citizen Ship Burn It Down! 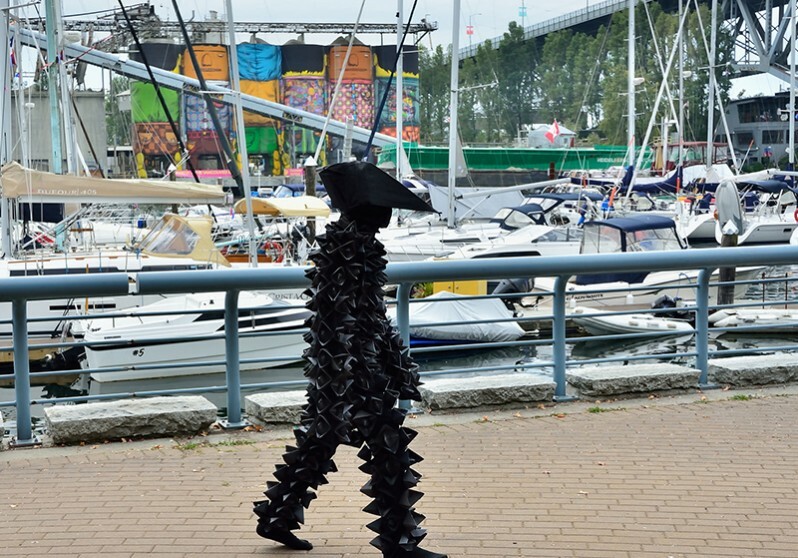 On Wednesday, September 17, 2014, Sajan walked 6 kilometres from the Roundhouse Community Centre along the seawall to Stanley Park. 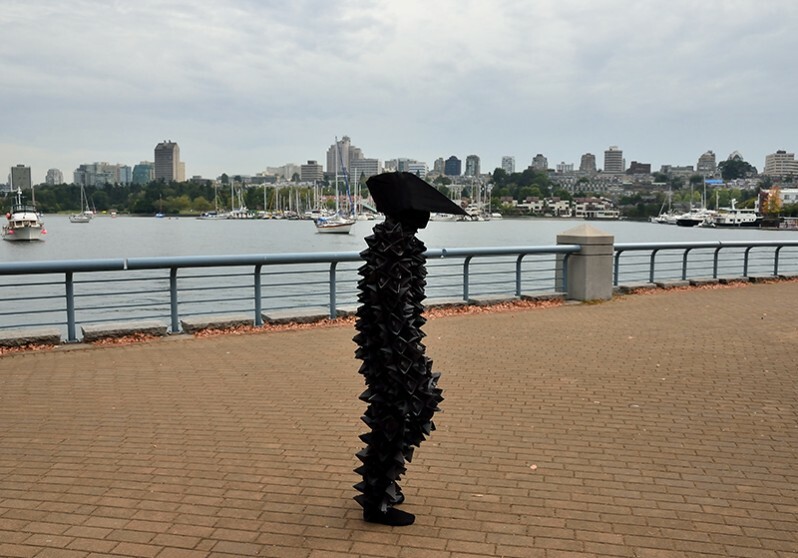 Sajan wore a black dress and mask covered with black paper boats, handmade by the artist as well as local community members. 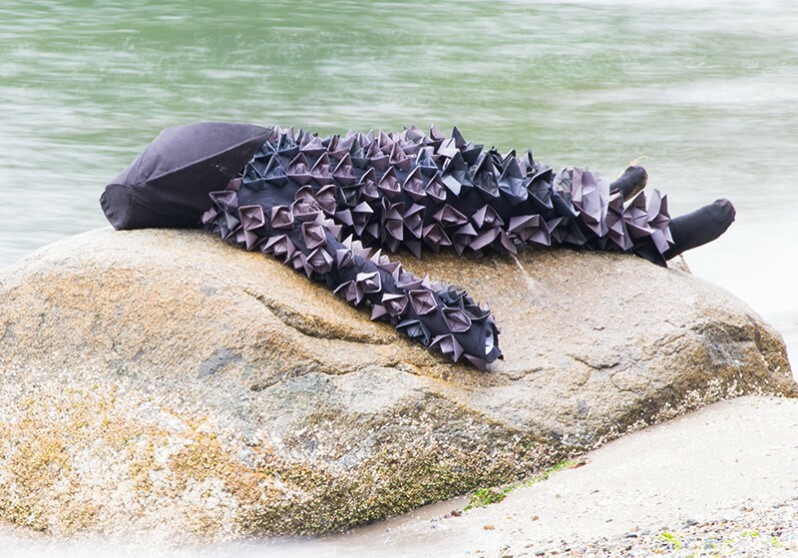 As night fell, Sajan’s performance ended as he laid down on a rock in the ocean, an offering to the water. The public, including Roundhouse children’s groups, participated in the construction of the 376 boats. These paper vessels referenced the Komagata Maru, a Japanese steamship that sailed from China to Vancouver in 1914. The boat was turned away, forcing 340 Sikhs, 24 Muslims and 12 Hindus to return to India. Sajan’s revolutionary performance reflected upon the exclusion laws of the early 20th century designed to keep out immigrants of Asian origin. This artwork was performed as a participatory project.